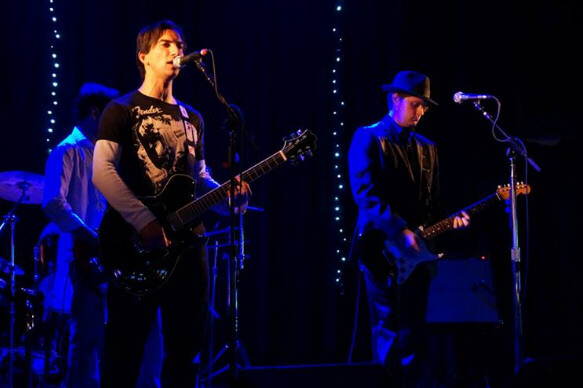 Mysteriana is a rock group based out of Indianapolis, Indiana formed in 2009 by songwriters/multi-instrumentalists Lance Tyler and Daniel Lomelino. Growing up together they developed a fascination for music and art at a young age, which has helped them retain the artistic integrity and values of the music they grew up with. With a clear vision in mind, they handle all writing, recording, production and art design themselves. Their sound is otherworldly and reminiscent of the 90's featuring wailing vocals with haunting harmonies, energetic and ambient guitars, picturesque lyrics, melodic piano and strings, all with an epic feel and touch of the theatrical. Please get in touch with any questions, and we hope to hear from you soon!